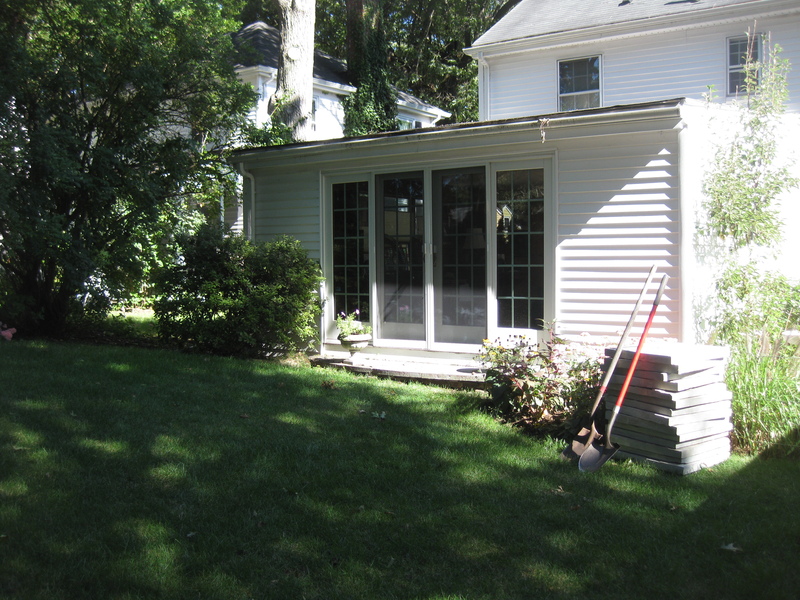 The installation of this small patio in Arlington, MA was a bit more complex than it may seem at first. The client wanted a small seating area outside of the existing french doors into their sitting room. 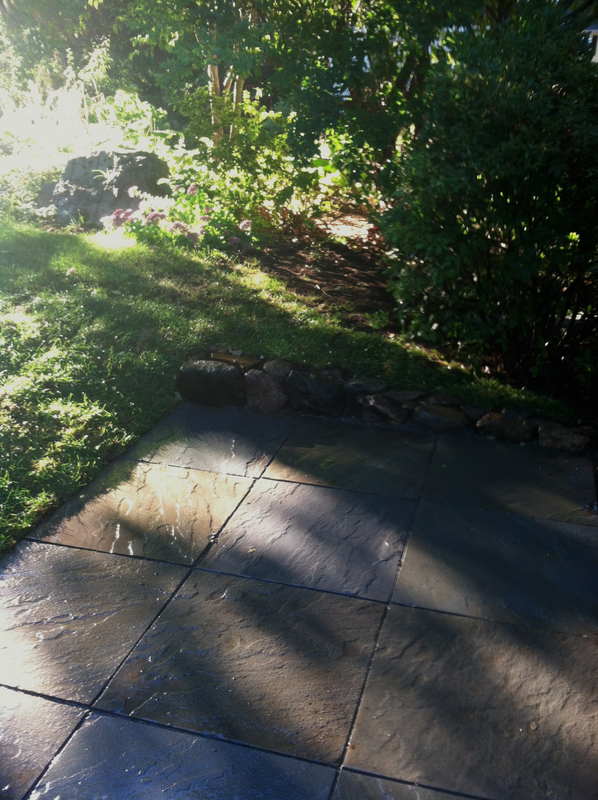 Originally just one bluestone step led to the lawn which was actually graded toward the house. 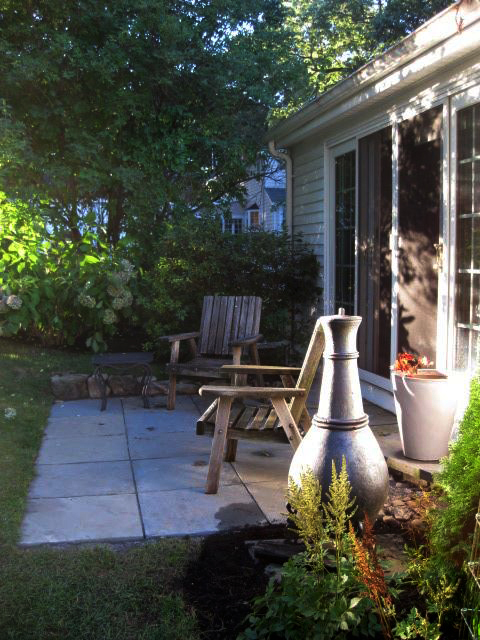 In order to make the space usable we built a 6’x10′ bluestone patio that extends the living area outside. In order to create a patio of that size we dug into the slope near the house and built a small fieldstone wall along the back side. 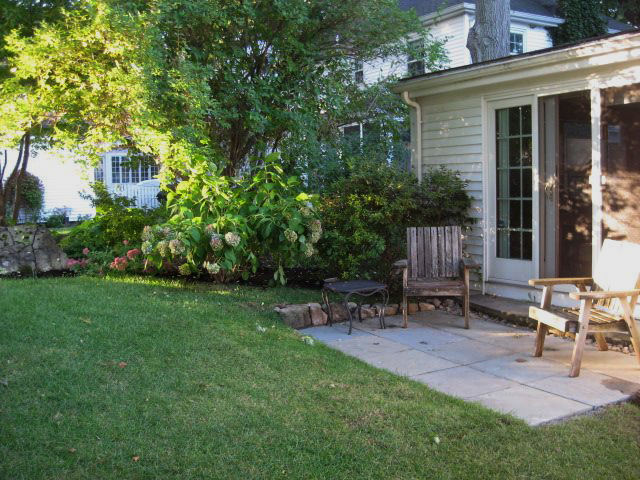 The use of fieldstone not only limits the number of materials for cohesion but ties into the fieldstone foundation of the step and the existing fieldstone walls that border the property. 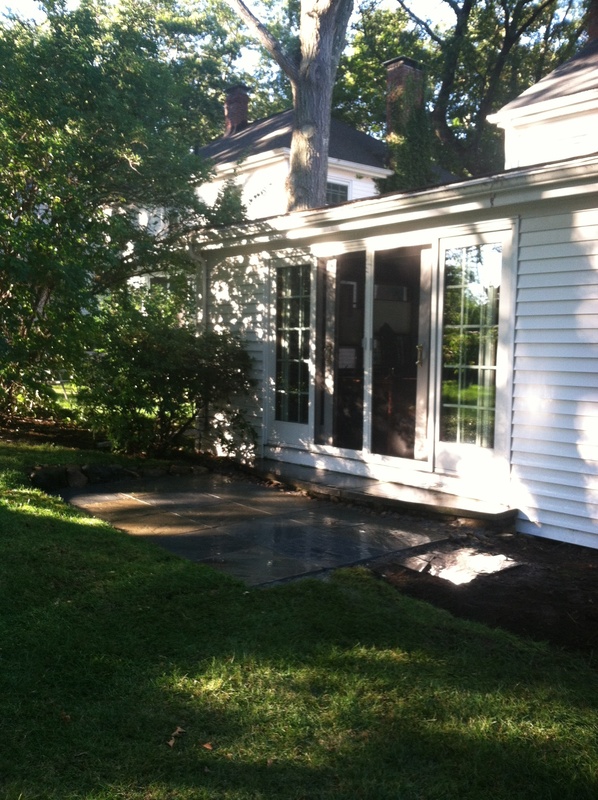 Along the front of the patio we regraded the lawn another eight feet to create a subtle slope. The small seating area that we created is just enough space for the homeowners to sit out and enjoy their gardens. I saw this project before during and after…..the gradual transformation was amazing.. Great job! !